With over 400 horsepower and M Performance chassis, the 2019 BMW M2 Competition's mechanical mastery delivers a driving experience that modern vehicles have been unable to create. Punching well above it's weight, this Black Sapphire with Black Competition Coupe sports a 6-speed manual transmission and factory options including Executive Package, Carbon Fiber Side Skirt Winglets, Factory 19" Winter Wheel and Tire Set (included with standard 19" Style 788M Wheels) and more. 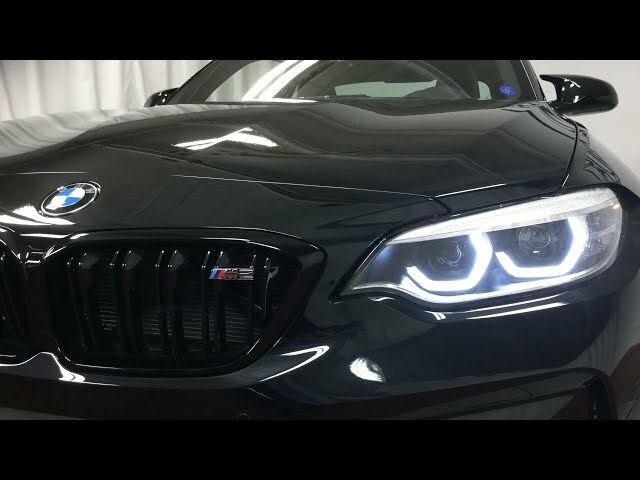 To take advantage of this perfectly configured M2 CS, please contact a BMW sales specialist today by calling 877-362-9715. Isringhausen Imports is Central Illinois' premier new car, used car and certified pre-owned (CPO) dealership for quality BMW, Porsche, Volvo and Mercedes-Benz vehicles. At Isringhausen Imports, we have become a leader in the industry by working each day towards the greater good of our customers, our fellow employees, and our community.